MARION, Ohio — Over the last three years, tens of thousands of unaccompanied minors have fled Central America for the U.S. At least 19 have wound up in the hands of labor traffickers. That was the case in Ohio, where 10 teenagers, some as young as 14, labored as prisoners for over a year. 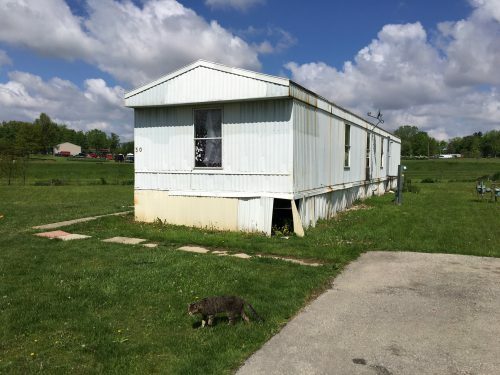 About an hour north of Columbus, past acres of rolling hills, farm houses and brown cows grazing in tall green grass, you’ll find a trailer park. Standing outside the dilapidated trailer brings back bad memories for one young man from Guatemala who lived there. “It was really poor conditions, a lot of roaches, holes everywhere,” he said in Spanish. “It was just very bad.” The teen, wearing a black baseball cap and Army T-shirt, points to a dilapidated white trailer at the end of a gravel road. He didn’t want to use his name because of the threats his captors made against him and his family. Although they are in prison, they have ties in Guatemala and the U.S. He came to the U.S. with the promise of a good job and the chance to go to school when he was 17. What he got: 12 hours a day, six days a week of debeaking, vaccinating and cleaning up after chickens at an egg farm. He said he and the other teenagers earned $500 a week, but the traffickers who lured them north kept all but $60. The trafficker, Aroldo Castillo-Serrano of Guatemala, earned at least $225,000 off of the kids’ labor. Castillo-Serrano told the teen he owed him $15,000 for smuggling him into the U.S. The men held a deed to his family’s farm as collateral. When they first arrived in the U.S. the teenagers were picked up by the U.S. Border Patrol and put in federal custody. That’s where Castillo-Serrano and his co-conspirators claimed them. They posed as friends of family. Federal officials at U.S. Health and Human Services handed the kids over to the trafficking gang. At a January Homeland Security Department subcommittee hearing, Ohio Sen. Rob Portman took HHS to task. “The horrible trafficking crime that occurred in Marion, Ohio could have likely been prevented if HHS had adopted common sense measures for screening sponsors and checking in on the well-being of at-risk children — protections that are standard, by the way, standard in foster care systems run by all the states,” Portman said. Assistant Secretary for the Administration for Children and Families Mark Greenberg said the challenge was a program that increased over three years from 6,000 kids to nearly 60,000. “There is no question we were facing a whole set of capacity issues,” Greenberg said. Since the fall of 2013 Central American families have sent at least 90,000 children to the U.S. A Senate investigation showed HHS placed at least 19 of those children into the hands of traffickers – and those are just the kids we know about. “The system was ripe for this to happen due to the surge and the way that the government reacted to it, the way that they relaxed their standards,” said Jessica Ramos, an attorney who works with unaccompanied minors in Ohio. Since the Ohio arrests, HHS officials said they have stepped up sponsor screening practices and hired 70 more employees. They anticipate more unaccompanied minors. The violence in Central America shows no signs of stopping. The teen from Guatemala said his parents, and his entire family, wanted him to escape the gangs. Another victim of the trafficking ring was 18, from Honduras, when Castillo-Serrano pulled him into the labor ring. He pushed up his sleeves to show scars from the chicken claws and beaks. This young man, fearing immigration, stayed hidden in his bed when the FBI raided the trailer park. The other teens involved in the labor ring who helped FBI with their case received temporary visas. “Everyone who comes here has a suitcase or a backpack full of dreams they left back home,” he said. He wanted to be a nurse. After leaving the egg farm, he went to work at a dairy farm. Now that he’s not paying the traffickers, he has money to share with his family back home and he’s putting his sister through nursing school. Fleeing violence like this puts underage migrants in a vulnerable position. Traffickers and even some U.S. employers realize that and take advantage of them. Trillium Farms executives said in a statement they were unaware a subcontractor hired to provide manual labor was involved in human trafficking. DiFranco said unaccompanied minors now make up a third of his caseload. He said until employers increase wages or lawmakers accept the U.S. needs people willing to do hard work for little money, some will continue to take advantage of those less fortunate and abuse the system. Arnold Castillo-Serrano will be sentenced June 27. Co-conspirators Conrado Salgado Soto and Pablo Duran, Jr. were sentenced in April to 51 months and two years in prison respectively. 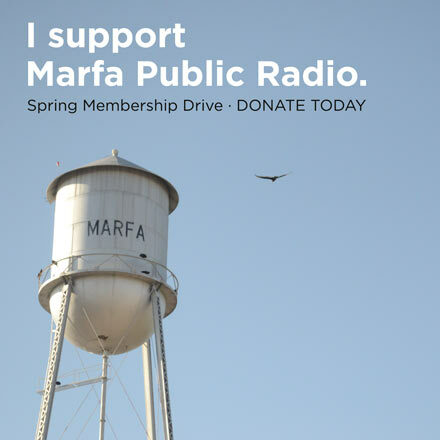 This story was reported by Laurel Morales, in collaboration with Fronteras, The Changing America Desk, a consortium of NPR member stations in the Southwest. This entry was posted in KRTS News and tagged Border Issues, Central American Migrants, Central American Violence, Crime, Fronteras Desk, Immigration, Labor Trafficking, Law Enforcement, The Costs Behind a Migrant Crisis. Bookmark the permalink.